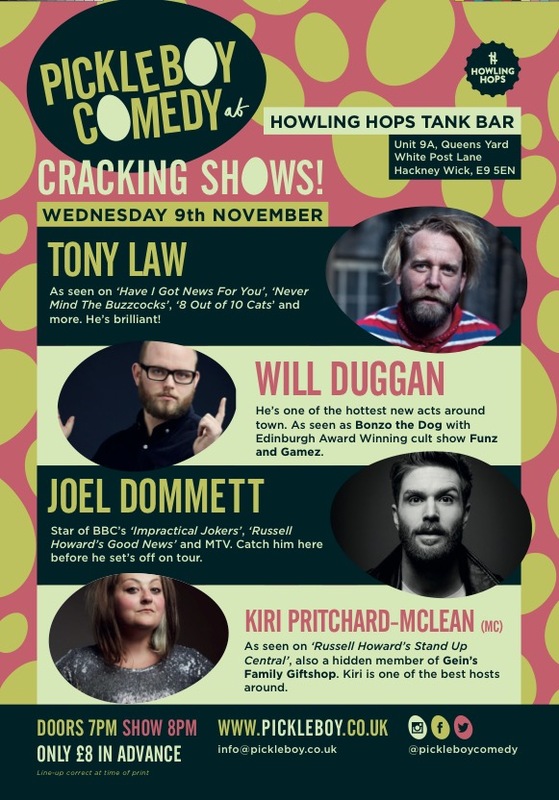 Pickle Boy is currently in residency in the heart of East London, where you can catch the biggest headliners at our monthly show at Howling Hops (the UK’s first ever dedicated tank bar in a craft brewery), and our new material Free Range Comedy nights at Lion Coffee & Records (awesome record shop and cafe). At our launch night in September 2016, we set a GUINNESS WORLD RECORD for the most amount of people simultaneously eating pickled eggs. 172 people, audience and acts. The application to Guinness has been put in – join our mailing list for future updates! In October, we almost broke the record for the fastest time to eat three pickled eggs. Our quickest competitor got 38 seconds. The record still stands at 34.5 seconds. Send us a line if you want to put your eggs where your mouth is and take up the challenge. In November, the people’s hero Eggy Joel attempted to eat an entire large jar of pickled eggs (approx. 30) throughout the show. This epic undertaking was livestreamed on our Twitter feed, and in the end he managed 15. Not bad. Pickle Boy is back on WEDNESDAY 14th DECEMBER for our final eggstravaganza of the year at Howling Hops, with a line-up that includes Phil Nichol, Evelyn Mok, UK Pun Champion Darren Walsh, our special guest Lucy Pearman and the ever-reliable Phil Ellis as our MC. Plus YOU have the chance to set two egg records: beat Eggy Joel‘s attempt to eat an entire jar of pickled eggs (he got to 15) OR take the speed-egg-eating challenge. All that for just £8. Buy tickets & get more info here.